An essential part of a legal career is building relationships – whether it is with attorneys, service providers, volunteer and networking groups, or clients and potential clients. 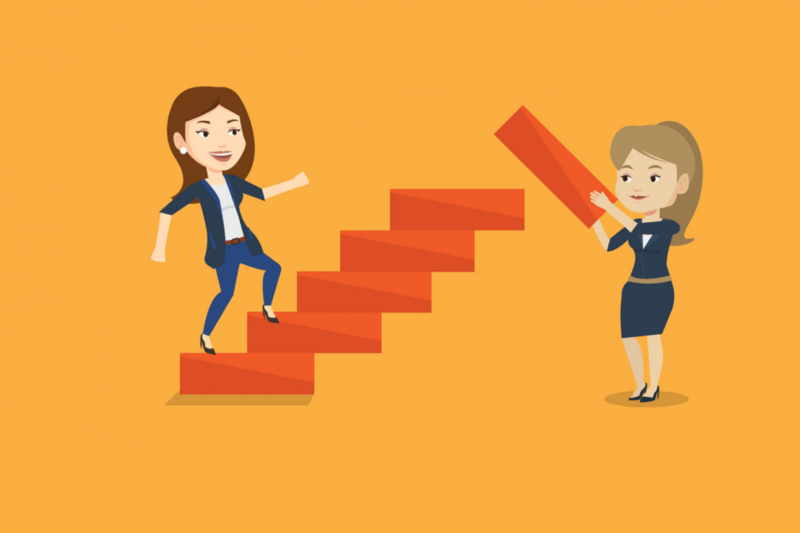 When I applied for Ladder Down, I learned that, at the core of the program, are techniques for cultivating relationships in all these areas to develop your legal career. The Ladder Down program was an interesting journey that began with a self-assessment in which I had to determine what were my personal traits, my work habits, leadership skills and how I interact with others. From this review from within, my personality leans towards being an introvert with moments of extro-vertedness. The Ladder Down program provided me with the tools to incorporate this personal trait when developing my career path. 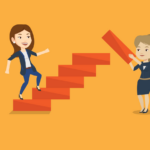 A critical component of the Ladder Down program is developing skills to help create the career you want, whether it is in private practice, nonprofit, solo practice, in-house or government. We spent several weeks on articulating career objectives, professional goals, and identifying the steps and the skills needed to implement the goals. We had the opportunity to learn from the group’s varied experiences and career roadmaps. Coming away with strong ideas and lots of support provides a new level of confidence to navigate law firm or corporate politics, to ask for the raise, promotion, time off, or a specific type of case. Also, it gave insight and confirmation that we must take personal responsibility for developing our career and building the relationships necessary to achieve our goals. The program included several weeks of training and information on business development skills and strategies. While I had a book of business when I participated in the Ladder Down program, the business development sessions helped me learn methods for bringing in a more specific clientele and the value more established clients could bring to my career. The program tackled sensitive topics including negotiating origination, reducing dependency on other lawyers for work, and how establishing the relationships to build your own client base can help secure your career goals. I learned leadership was more than managing a meeting. An effective leader must be able to build relationships within the organization and the membership, then build on those relationships to inspire members to work together in achieving the organization’s goals. Just improving the relationships and communication within a group will go a long way to achieve notable results. I learned how relationships can make a good leader and why certain leadership styles worked in certain situations to unite and engage people. The program is organized by topics with weekly presentations and working sessions to provide practical experience. Each week there are opportunities to ask questions about the topic, even questions you would not necessarily ask a co-worker or supervising attorney in your firm or organization. Within the group, you have the opportunity to ask those sensitive questions without judgment – only genuine assistance and real answers. One of the most insightful sessions included a panel of male senior partners telling us what they really thought. This was a fun and insightful experience that helped me understand the benefit of assertiveness, as opposed to aggressiveness, and how to be my own advocate. In addition to the weekly presentations and working sessions, we also had more intimate small group sessions where we had more in-depth discussions and a forum to keep each other accountable for our progress. It gave me the opportunity to interact with women I would not have met otherwise – and opened doors to establish closer relationships. The idea of paying it forward is a key component of Ladder Down. Women are inspired by the experience and are encouraged to continue encouraging others. Participants continue to establish relationships with other women attorneys and assist them in developing their legal careers. Jill Ormond is an attorney at Lewis Roca Rothgerber Christie LLP. Jill helps clients ranging from international retailers to specialty entertainment companies find practical and cost-effective legal solutions.